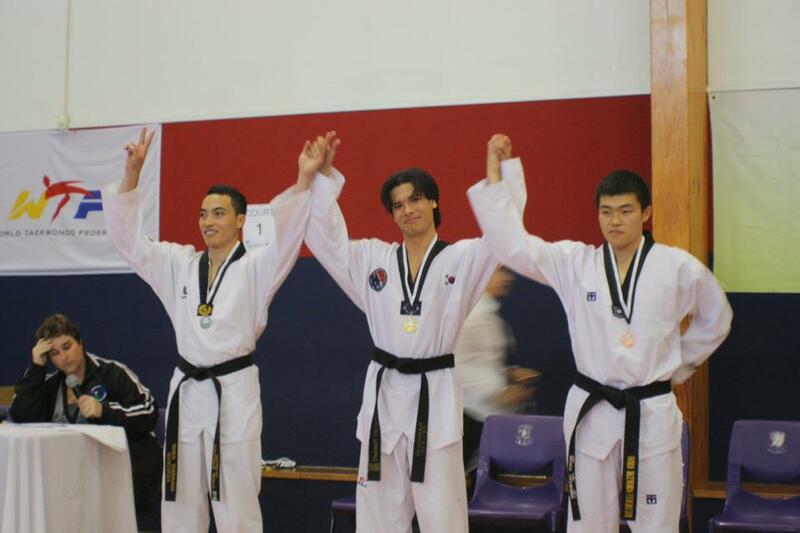 Languages International student Manuarii Bousquet took time out from studying in Auckland last week to complete in the Taekwondo New Zealand Open Championships. Manu overcame a foot injury in the final to win gold in the Under 74kgs Black Belt Senior category. His parents flew in from Tahiti to support Manu, who’s been doing Taekwondo since he was 5. 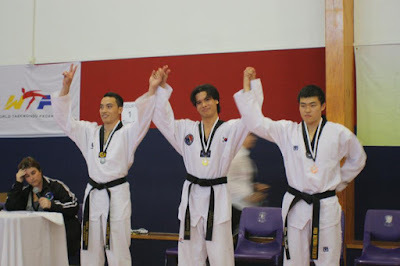 His Taekwondo master in Tahiti recommended Sejong Taekwondo in Auckland, where he trains 3 times a week. “It’s a short bus ride from my homestay, which is great”, said Manu. “Before the finals I felt nervous and excited but I had a good coach. Now I’ve won I feel happy”, he said. Manu is planning to keep studying hard at Languages International until September, to help him find a job.